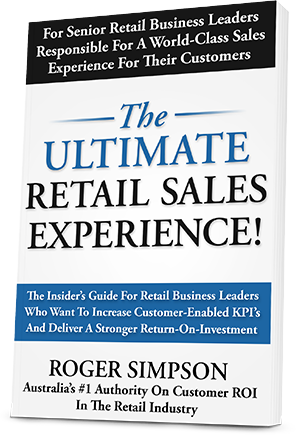 Roger Simpson is recognised as Australia’s #1 authority on customer ROI in the retail industry. With more than 35 years in retail, he is highly sought after by business owners and CEOs for his insights on the current problems facing retail and his clear strategies for fixing the issues. Roger has delivered training and coaching programs to retail clients in nearly 30 countries, with most experiencing sales increases in excess of 100%. He knows how to maximise performance and profitability by motivating and guiding owners and staff in their interactions with each other and with customers. Many retail businesses focus on trying to provide the cheapest price and don’t give customers a reason to come back. They ignore the most basic principles of customer service, with sales assistants treating customers as inconveniences, and then lose those customers to the online world or to other competitors who understand the critical role great customer service plays in long-term business success. If you’re a leader in the retail industry responsible for your company’s profitability, you can’t afford to provide bad customer service. A consultation with Roger will reveal how, when owners and managers ignore the front line and allow staff to give poor service, they are actually letting millions of dollars in sales walk out the door. What makes a retail experience poor – is it people, product, or something else? What keeps so many stores from “getting it right” with customer service Today’s retail environment – are you prepared for it and what’s ahead? When you focus on making service a priority at the front line, you have a good chance of having those precious customers return time and time again. A consultation with Roger Simpson will show you the truth about the retail industry’s wrestling match with providing quality customer service and how you can use it to win the battle for business. 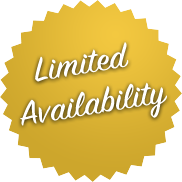 Click on the button below to schedule your free session!